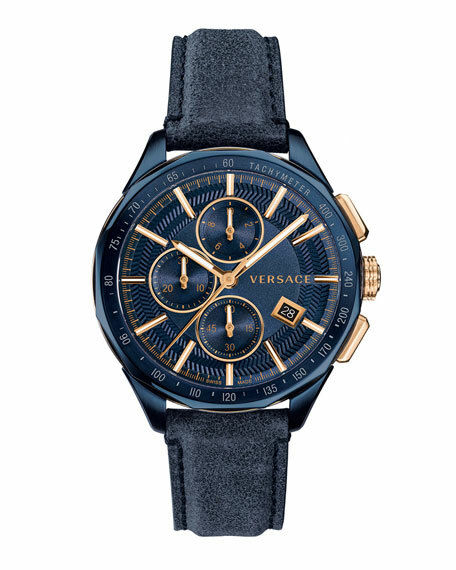 Glaze chronograph men's blue watch by Versace. 44mm round blue stainless steel case and hardware. Transparent glass outer case reveals Greek key at sides. 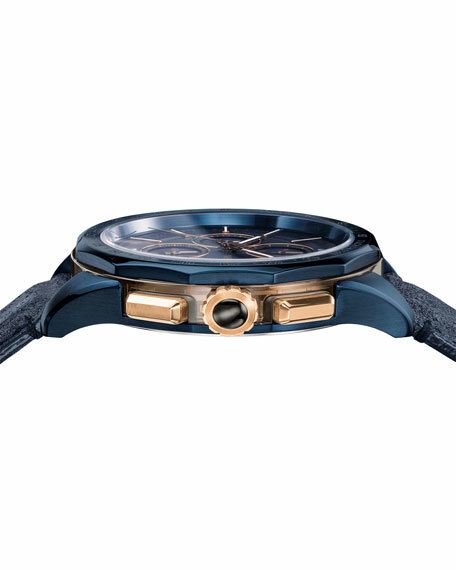 Herringbone blue dial with rose golden 3 o'clock logo text. Rose golden baton time markers and three round subdials. Square date window at 4 o'clock time marker. Three-hand Ronda 3540D quartz movement. 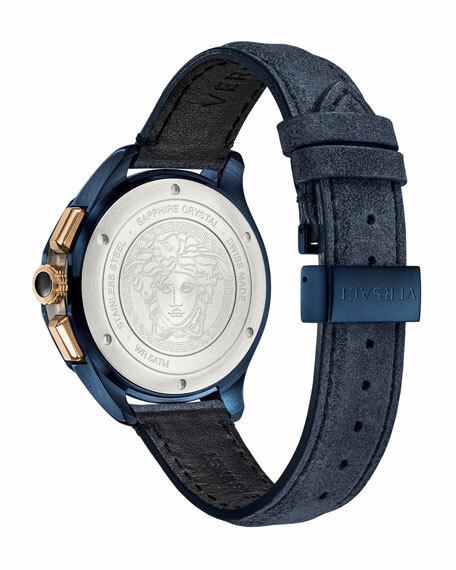 Blue calf leather strap with buckle closure.